GOP and black voters: How wide the divide? 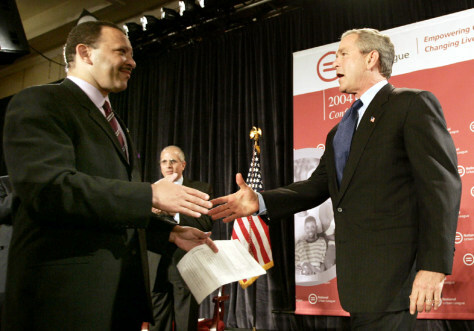 President Bush shakes hands July 23 with Marc Morial of the Urban League at the league's annual conference in Detroit. After mounting efforts to embrace black voters, some Republican leaders and spokesmen are upbeat about how the GOP has advanced its relationship with African Americans.